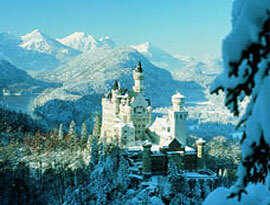 Travel with VIP Alpine Tours and discover Europe at its finest. Since 1996, our bilingual tour directors and guides have been showing the beauty and cultural secrets of Europe that most conventional tours miss. Each tour has been customized and carefully planned with your maximum comfort, sightseeing and enjoyment in mind. Christmas Market Tours are VIP's specialty. Christina Ernst, owner and president of the VIP travel family, has been hosting groups to Christmas Markets since 1996. She has visited hundreds of markets in 9 countries making her one of the most sought after travel hosts for this magical holiday experience. Travel with us and let us show you authentic Europe. Guaranteed small group departures. We specialize in Germany, Austria and Switzerland, but can organize any tour for any organization and group size. We are currently putting tours together for the upcoming season, please check back often for updates!